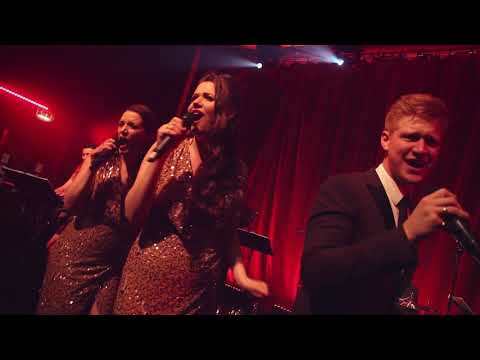 Swing Time are all you'll need to make your wedding day or corporate event go with a swing as they can perform in a variety of different line ups from a jazz trio for sophisticated background listening, to a fully funky 9 piece outfit burning up your dance floor! If you're after music from the legends that were The Rat Pack or if you prefer Motown and Soul classics then this is the band to book. The perfect blend of youth and experience means that you can rely on the band to know how to give any audience a fantastic night of entertainment but with the energy to deliver the liveliest set you can handle. 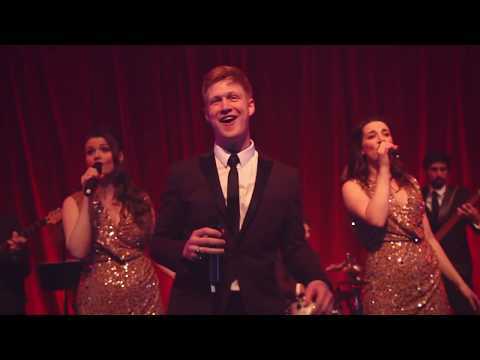 We're proud to have been appointed agents by this wonderful group of musicians and we know that you'll be impressed by the slick package they offer, so enquire now today to check their availability for your event and to get an accurate quote - you won't be disappointed! Thank you for all the amazing work you did on the 30th! We absolutely loved the band and all the music, as did our family and friends!!! And we could not have done this without your help and guidance (and a ton of patience, for which I am extremely grateful!). "We are thrilled that we chose Swing Time as our wedding band. A fantastic group of musicians who made our day so much more special. Mike (band manager) was extremely helpful throughout, guiding us through the various options - from the band's outfits to music choices. We booked the band for the whole day, including jazz sets during the reception, ceremony music, first dance, and two hours of dancing! They were absolutely amazing and their performance (music, sound, etc) was just perfect! "We hired Swing Time for our summer wedding, and couldn't have been happier with them. They are super efficient and easy to communicate with, making the whole process of booking them really straightforward and stress-free. Swing Time are so friendly, accommodating, talented and professional that we would wholeheartedly recommend them to anyone! Thank you so much for dealing so admirably with our wedding overrunning. We are sad not to have had 2 full hours of Swing Time, but we were delighted with what we did have. We thought Swing Time did an outstanding job and so did all of our friends and family. Everyone could not stop raving about how great the music was. Honestly, we wouldn't have changed a thing and were so impressed. Most of all, it was so special to hear New York, New York as a closing song and we really appreciate your initiative to create those extra special touches for us! Without a doubt, we would recommend Swing Time to any other friends getting married. Dear Mike, I know I thanked you on the night but just wanted to do so again in the cold light of day. You and your band were fantastic, not just brilliant at the music but also lovely, helpful and a total pleasure to work with. My Mother literally had the party of her life and you were a big part of that.... you were exceptional. What a fantastic band! 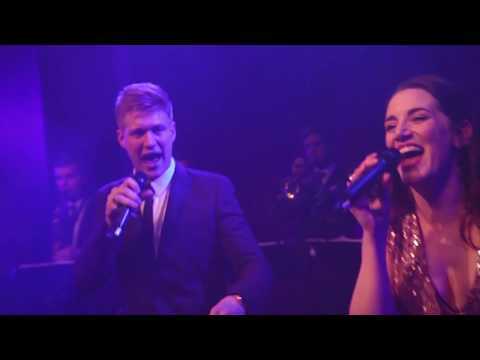 We booked Swing Time for a Charity Gala Ball, and what a wonderful addition to the event they were. All our guests made for the dance floor and were thoroughly entertained and I can't recommend them highly enough. Delightful people and they certainly add value to your event! Dear Mike, we wanted to say a huge thank you for being part of our wedding. From the classical music during the ceremony to the full 9-piece jazz band in the evening, the music was just perfect. 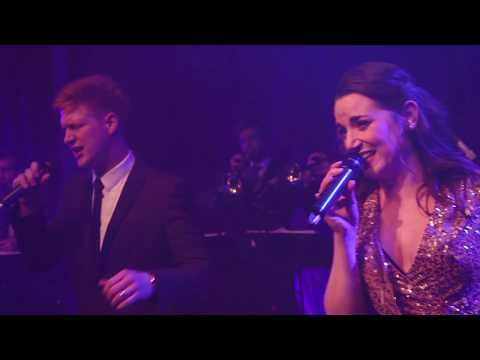 We have been fans of Swing Time for a long time and have always said you would be amazing to have at a wedding so we are so pleased you could play for us on our special day. We have had so many comments from our guests about how fantastic the band was and you were definitely one of the highlights of the day. You never fail to get everyone dancing! Hopefully see you at a Swing Time event soon. Dear Mike, I’m sorry for not writing to you sooner to say thank you for everything. You and the band were superb - especially given the massive delay before you were able to perform, and the fact that we forgot to bring the interval playlist(s)! Our guests were extremely complimentary and said they really enjoyed the band and the dancing. So thank you - and thank you for making it all so easy for us too. This talented group of young musicians under the mentorship of Mike Paul-Smith played recently at my 50th birthday celebration. I can honestly say that the band were not merely a part of the party, but that they made the party. The standard of musicianship and the panache with which they perform is a credit to them. They gave my family and 200 guests a lot of fun and ensured the evening went with a swing. Without exception the feedback from my friends was that they have not enjoyed an evening as much as this in a long time. Do not hesitate to book these guys. They're great! Hi Mike, I thought I would email you to thank you for your brilliant performance at our wedding. We both thought you were fantastic and really helped finish the day off with some outrageous dancing! Thank you as well for being so flexible and accommodating with your equipment so that we could play as well, it made everything much easier!! When we were planning the wedding, my father didn't think that we needed a band and wanted to have a disco set up but I am so pleased that I persevered. He is now eating his words and is glad that I persevered too! Well, If I ever need a band booked in the future of if anyone needs a band recommended, I will definitely come back to you. Dear Mike, Sarah and Jami are, of course, on honeymoon. However I couldn't wait until they return to send our own thank-you for your fantastic music at our daughter's wedding last Saturday. You were absolutely perfect and really hit the spot getting all ages on the floor - from age four to ninety! We will highly recommend you. Swing Time played recently at the Royal Latin School Year 11 Ball and were simply magnificent. Not only did they get everyone in the room dancing, they brought an air of class and sophistication to the evening which certainly made my night, and everybody else's too. The music was excellent, a joy to listen to, and I would recommend them without hesitation to anybody looking for a live band. Well, we're back from our honeymoon now; and we'd both like to really thank all of you for helping to make our wedding such a fantastic day. The music was perfect from the first dance to the last - even if our dancing didn't quite do it justice! Everyone had so many great things to say about you, and were unanimous in your praise. The only downside was that it had to end! Just a short letter to thank you and the band for such a wonderful performance at Ian's recent birthday party. You all made such an effort to make the day go well. The choice of both background and dance music was perfect - the combination of jazz and soul numbers that showed off the vocals and solos made it great listening and, on top of that, you also managed to incorporate some of Ian's favourites into your set - it was really special. All of our guests were impressed by the band's professionalism, vitality, humour and obvious talent - quite a few have asked for your details for their own do's - I hope they get in touch. I wish you and the band all the very best for the future and thanks again. Hi Mike, After our wedding last week we wanted to write to thank you and the band for your fantastic performance. We both had a brilliant day, as did our guests, and Swing Time were a vital part of it, creating the perfect atmosphere. All three of the sets were spot on and really kept the night buzzing right through to the end of the party. So many people have commented on how much they loved both the music and the dancing and it will certainly live long in our memories. Thanks also for letting us plug in our laptop, use your mikes and for being so accommodating and flexible with our timings for the evening which went a bit off schedule. Thanks again for helping to make our wedding party so special. Swing Time played at one of my oldest friend's weddings last week - the best wedding I've ever been to, and the band played a huge part in that! We all rushed to the dance floor and didn't leave. The music pleased all age groups, which is just what you want on these occasions, and the band looked like they really enjoyed being there too. I've stored them in the memory bank to recommend to others - talented, professional, slick, fun! 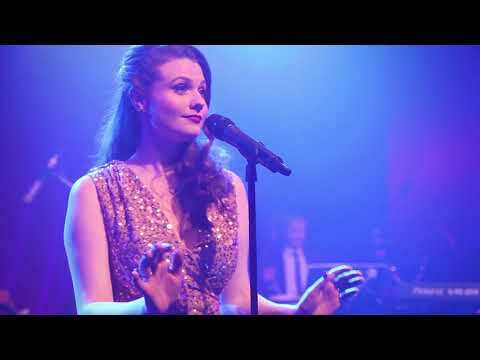 I had the pleasure of seeing Swing Time perform at The Music Palace - a small, welcoming and undoubtedly intimate venue in Crouch End, north London. For the first set, we were treated to nearly an hour of cool swing classics. With the audience nicely warmed up for the second set, the band upped the tempo (and the volume!) 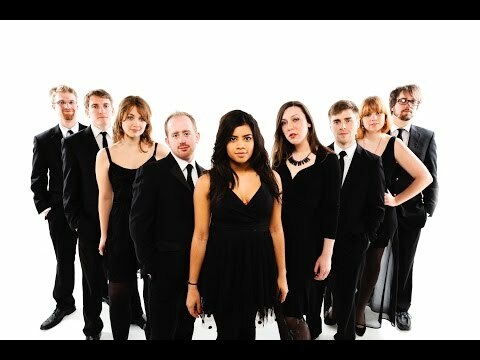 for an awesome performance of soul, disco and Motown classics. Hit after hit, the band delivered their interpretations of groovy classics with conviction and vigour. It wasn?t long before the dance-floor was crammed full as Swing Time turned on the style with songs by Stevie Wonder, Aretha Franklin, Curtis Mayfield, James Brown, The Jackson Five, Martha & The Vandellas, Diana Ross, Chaka Khan and others. Deservedly receiving rapturous applause at the end of each song, three encores at the finale rounded off a thoroughly entertaining evening. Swing Time were fantastic on the night and had everybody up and dancing. The lead vocals are really something. Just what we were hoping for. Hi Mike, I just wanted to drop you a quick email to thank you and your band members for the excellent music we received for my special birthday celebration dinner on 7th November at the Carriage House Restaurant. Without exception, all my guests were impressed with the quality and professionalism of your band. I have received lots of compliments - all of which you certainly deserve. The evening went without a hitch and we could have all danced on for hours and hours!! My thanks again for helping to make the musical entertainment part of a memorable evening. I will certainly recommend you to anyone who is looking for high quality music for a special event. I can honestly say that having the band play at our event was the highlight of our evening. From the moment we contacted them about a quote to the end of the evening they were always happy to work around our needs which took the pain out of the organising! Their flexibility, professional attitude but above all, their fantastic performance was exactly what we were looking for. I would not hesitate to recommend them for any event where you want to provide that 'something special' for your guests. 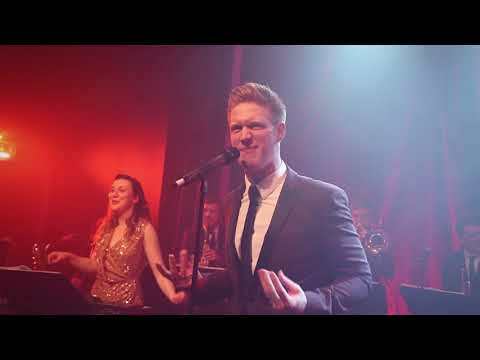 I have absolutely no qualms in recommending Swing Time to anyone wishing to have a fantastic band for their wedding/event. Mike was fantastic, helping us pick out our songs and arranging the schedule for the day. Every guest congratulated us on the wonderful performance. To all members of the band, you were brilliant! Well, what a fabulous evening!! Thank you so much for making the party so enjoyable. All of our friends had a great time and several said "it was the best party ever"! They especially liked the music and were impressed by your repertoire and talent. We loved the jazz sets and I am sure you all noticed how many people were dancing to the soul set. Please pass on our thanks to the band and especially to you for your hard work and energy - you should get some follow on Gigs from the rave comments I heard.